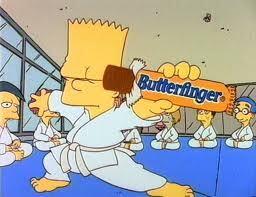 Butterfinger candy bars are my ultimate favorite! 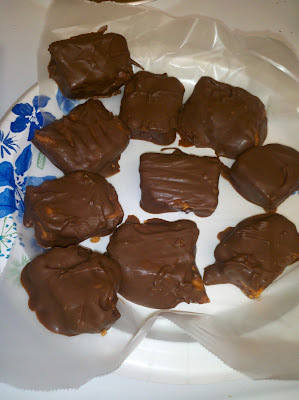 So, when I saw Homemade Butterfinger candy on Pinterest, I knew I had to try them out! The cool thing about them is they are only made from 2 ingredients: candy corn, and peanut butter! 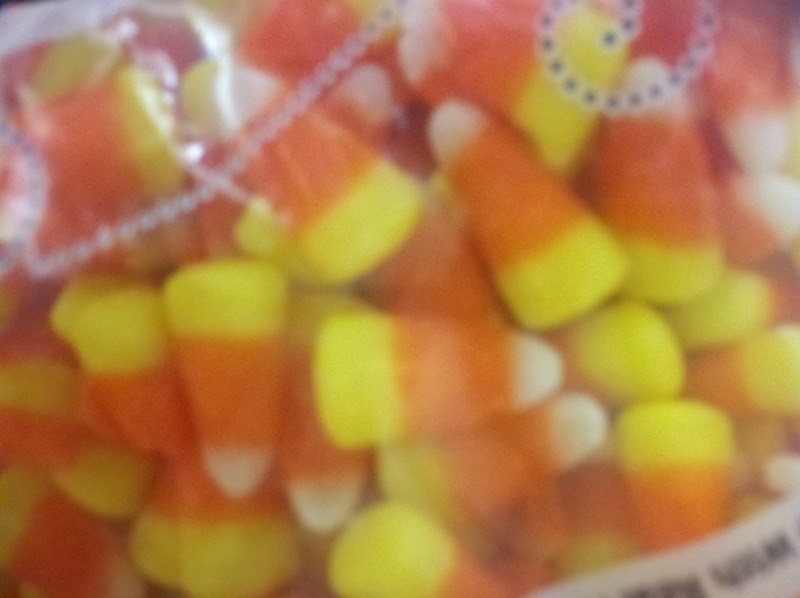 So, after Halloween, this would be the perfect recipe to use up leftover candy corn! See the full recipe and instructions at the above link. First, you melt the candy in the microwave, until liquefied and bubbling. Then, immediately stir in the peanut butter. 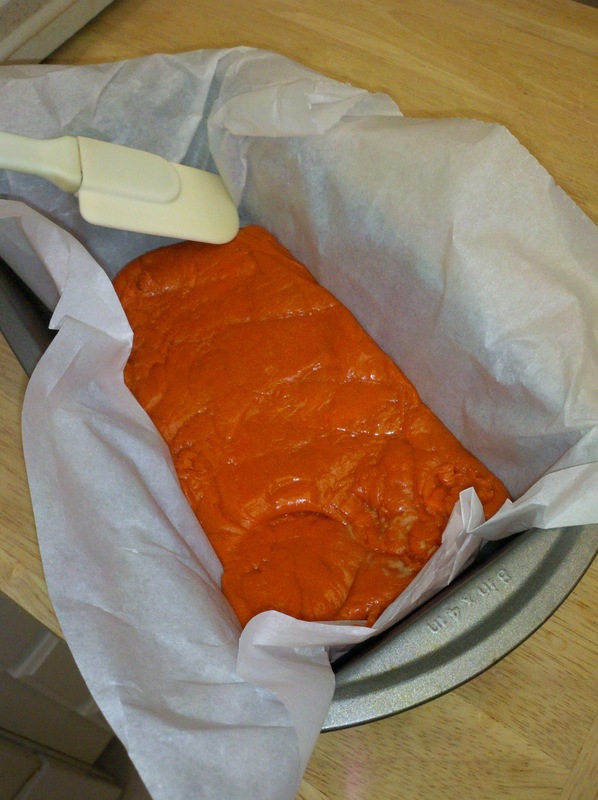 Before it cools, aka turns rock hard and glues itself to the bowl (If this does happen, just return to microwave, to try to soften again), quickly spread the mixture into a parchment-lines pan, and allow to completely cool. The mixture turns very crispy like the inside of a Butterfinger! One batch I made, had a bit too much peanut butter to the candy corn ratio, and ended up a bit more like Homemade Reese's...NOT a bad thing, haha. 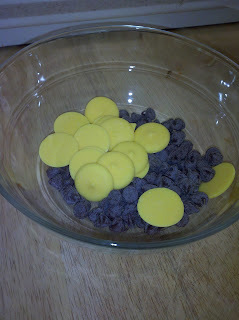 Let cool completely, and cut the cooled candy into squares or rectangles. Melt chocolate chips or candy melts (I used a combo of both) and dip each candy piece into chocolate. Allow those to set and harden at room temperature, or in the fridge. Who's The Fairest of Them All...?